Unless you have been living in a cave, you would know that all two-wheelers below the 125cc displacement would require the installation of the combi-braking system (CBS) as a mandatory feature from April 2019. All two-wheelers above 125cc would need to be fitted with anti-lock braking system (ABS). With a few weeks until the deadline set by the Indian Government, manufacturers are ensuring all products comply with the latest safety norms. No, it's not a typo. Honda has placed a witty advertisement about offering CBS system from 2009. The advertisement can be seen on its website and in newspapers. Meanwhile, Honda 2Wheelers India was busy releasing a witty advertisement on its website and in newspapers, boasting about its CBS preparations, and the fact that it started to offer the feature nearly 10 years ago. Happy 2009 to the rest of the industry catching up this year, for we introduced the combi-brake system back then. Over 2 crore riders trust the Equalizer Technology of Honda Combi-Brake System. The Honda Activa was the first product to be available with CBS in 2009, a mechanism where pressing the left lever activates the Equalizer, which distributes the braking force between the front and rear wheels simultaneously. 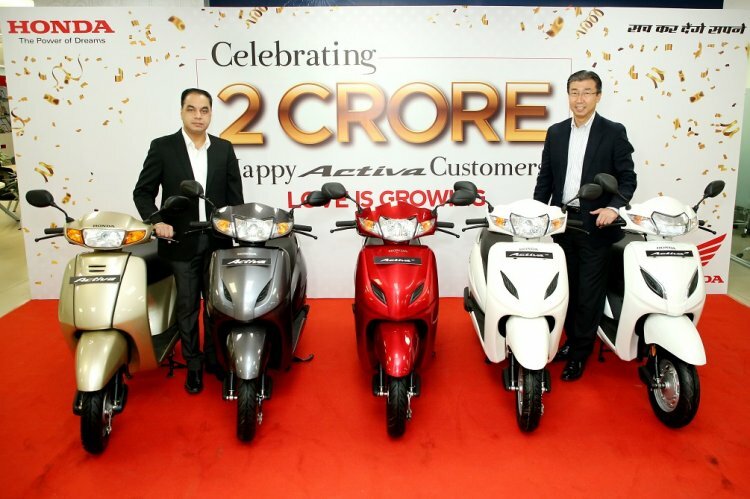 HMSI's scooter portfolio that comprises the Activa 5G, Activa 125, Activa i, Grazia, Dio, Aviator, and CliQ, come with this feature. Honda 2Wheeler India's main rivals Hero MotoCorp and Bajaj Auto have introduced their own tags for the CBS system and have started to roll out scooters and motorcycles with the feature in the past few months. Hero MotoCorp, for example, calls its CBS technology Integrated Braking System and has started to offer the feature on its scooters such as the Destini 125, Duet, Maestro Edge and Pleasure scooters. Bajaj Auto recently updated its Platina 110cc commuter motorcycle with Anti Skid Braking, its term for the CBS system. The Honda Activa was the first scooter to receive the combi-brake system in 2009. The Activa brand accounts for about half of the cumulative sales of the company in India since inception. Suzuki Motorcycle India tags its scooters with the safety net of CBS with the sticker of Combined Brake. CBS is currently offered on the Access 125 and the Burgman Street. We will see more products roll out with the safety net of ABS and CBS as the April 2019 deadline nears.